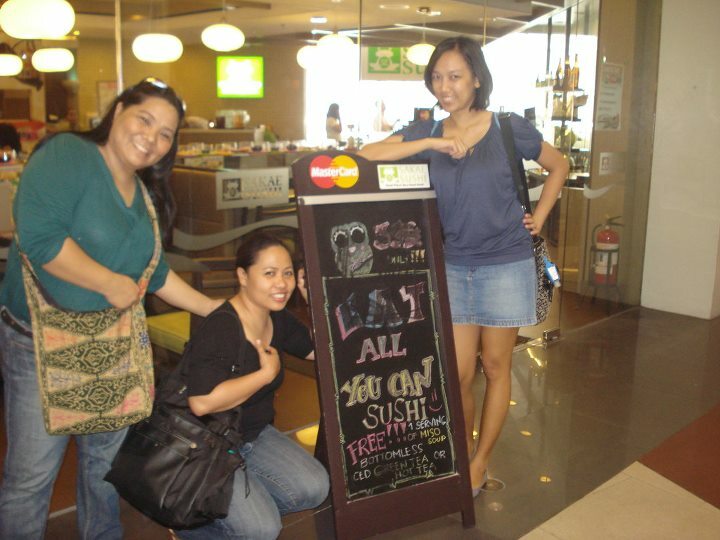 J my friend purchased an "eat all you can sushi" voucher from metro deal two months ago. 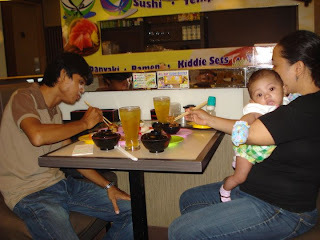 We waited for her hubby to come home from an overseas work before availing the said cheap japanese food offer. So after waiting patiently :)... here we are posing smilingly for a picture in front of the restaurant.